Sophisticated styling, soothing comfort, and aggressive power all come standard in the latest Kia SUV. Rugged luxury is arriving soon with this Kia. 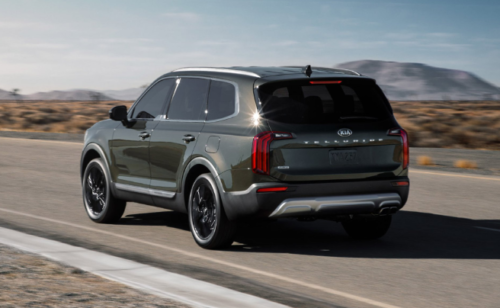 Learn more about the all-new 2020 Kia Telluride by reading on. The 2020 Kia Telluride is the largest Kia model to date. The vehicle is designed to seat up to eight occupants, so large families or individuals seeking significant cargo space can have their needs met. The interior of the Telluride is constructed with high quality, premium materials and craftsmanship to create a luxurious feel. Under the hood of Kia’s all-new SUV is a 3.8 liter V6 GDI engine. This Atkinson Cycle LAMBDA engine produces 291 horsepower at 6,000 rotations per minute (rpm) and 262-pound-feet of torque at 5,200 rpm. This engine is mated to an eight-speed automatic transmission, allowing drivers of the Kia Telluride to feel in control. Built on a four-wheel independent suspension, the Telluride is designed to tackle whatever is thrown at it, proving the vehicle’s rugged build. With great power comes great safety technology. Car buyers can equip their 2020 Telluride with a variety of driver assist features that offer peace of mind. Some of these available tech features include rear occupant alert, safe exit assist, lane following assist, rear cross traffic collision avoidance assist, and blind spot collision avoidance assist rear. Keep an eye out for the 2020 Kia Telluride by staying in the loop with Sunshine Kia of Miami. Our new and pre-owned Kia dealership is an ideal destination to see the latest and greatest that Kia has to offer. 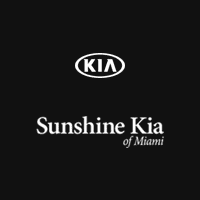 If you’re in the Miami, Florida area, you can find Sunshine Kia at 17120 S Dixie Highway. You can also reach our staff by calling 855-288-7338. We look forward to showing off the 2020 Telluride soon!